It’s been a long and tough year so far for oil and gas producers. 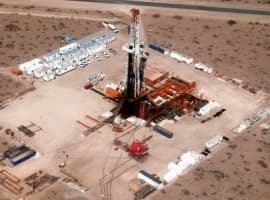 While cheap oil has been a boon for American consumers and some businesses, it has caused substantial damage to the energy sector and various components of the global economy. Long gone are the days $100-plus oil. A worldwide supply glut has dropped commodity prices to bottom-of-the-barrel prices not seen since the depths of the financial crisis. 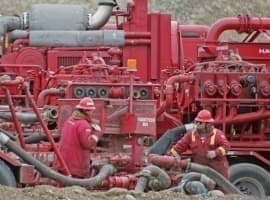 Technological advancements like horizontal and multi-pad drilling and multi-stage fracking have no doubt upped U.S. production rates to record-highs, but it’s also a big reason why crude and natural gas prices remain alarmingly low – and why oil and gas firms are now re-examining their assets and spending during these financially and operationally challenging times. 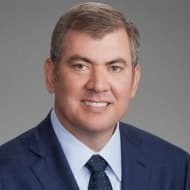 Executives, boards of director, and shareholders – particularly within service and supply providers – have responded by making wholesale changes and swinging their cost-cutting axe. Some have implemented smaller and more efficient operational footprints. Others have slashed human capital, including highly skilled technical staff. According to reports, more than 150,000 employees have been laid off during the current downturn in prices. And according to reports, the financial environment is not expected to improve in the coming months. Analysts warn that crude could linger well below $60-per-barrel mark through next year. “Lower for longer” is the new crude mantra, the Wall Street Journal reports. At this point, it should be the old mantra, as prices, at large, have remained dangerously low since last December because of the ongoing game of chicken the Organization of Petroleum Exporting Countries (OPEC) is waging with the U.S.
How much longer can American energy companies – and the fragile U.S. economy – go on like this? And what can they do to weather the storm? Scale back more operations? Reduce more personnel? Explore more M&A activity? Perhaps all of the above? Before we dive into what our options are, and which ones are best, let’s first digest what we already know. There is a lot of debt throughout the sector right now. In fact, if they’re not careful, several energy firms, especially ones with poor credit rates, could soon be swallowed by their own mounting outstanding balance. 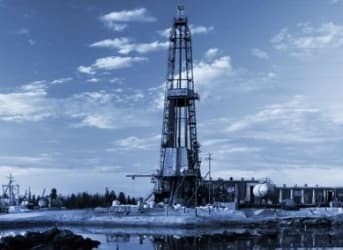 Shrinking revenue spearheaded by ample supply, declining orders, and freefalling oil prices upped drillers’ debt 16 percent in the first quarter of 2015 to $235 billion. 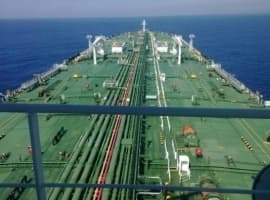 It’s a staggering, even frightening, figure – one that’s expected to intensify as more revenues dry up and companies are left footing the bill on huge inventories, especially if Iranian oil soon enters the equation and further saturates the oversupplied market after sanctions are lifted because of July’s nuclear agreement. The amount of economic pain a company will ultimately endure varies on a number of factors. But have no illusions: if commodity prices do not recover, all hedgers, even the shrewdest, will undoubtedly be hit hard. Decreasing workloads and cuts in production could lead to further reductions in headcount; a Catch-22 because companies that cut and cut might not be able to handle future increases in workload when prices eventually go up. Liquidation and consolidation will reign. A number of service companies and producers could become insolvent, and various entities and assets could subsequently be acquired by creditors or competitors with deeper pockets and lower production costs. Everyone is quick to rush to tell you what to do – slash here, cut there, sell this off, merge with them – but the truth is no one knows when this oil price freefall will end, or what the industrial and economic landscape will look like after the storm clouds dissipate. And knowing this – and averting ill-advised, hasty decisions – is one of the most crucial steps to riding this ordeal out. So is acknowledging that vendors, customers, and stakeholders are likely to collaborate better with you if proactively and properly address the crisis. 1. Many companies wait until the last minute to ask for professional help. Don’t be one of them. Waiting too long closes off options and damages credibility with key stakeholders. 2. Know what you have at your disposal. Make sure you understand your assets. What is producing? What has potential? What are your decline curves? 3. Professionally update short-term and long-term projections for business viability planning. Third parties are recommended. 4. Keep a daily eye on your cash, and preserve as much of it as you can. Implement spending limits. As I have told clients: burn rates are hard to get down, but they are no doubt your lifeline. 5. Prioritize spending by ranking your capital projects by importance and affordability. First, act on the projects that your business needs to stay alive. Second, act on the ones that generate cash flow. 6. Look at your cash flow forecast and see what needs tweaking. If you do not have one, develop one – fast. It should be between 13 and 26 weeks and include due cash receipts and disbursements, no accrued expenses or amortization of non-cash items. 7. To help gain credibility with lenders and creditors, cut excess G&A items. That could mean saying goodbye to luxuries like a private jet, various club memberships, and large amounts of unused office space – all items that drain cash. 8. Are you depending too heavily on one transaction solution? Don’t. Multiple options will be needed. So will a rock-hard contingency plan, especially if the transaction does not close. 9. If cash is tight, don’t promise to pay your vendors. It’s not a sustainable strategy, and it ruins credibility. 10. Use the above steps to construct a versatile plan – and make sure your key stakeholders know about it. Whether it’s a liquidity crisis, pending or actual covenant default, operational issues or a combination of factors, make sure you have a firm but realistic plan ready to go, and be prepared to defend it. In short, more tough times likely await us all. The trick is to know what to do to wait out the storm. Is This The Last Roll Of The Dice For The Offshore Sector? Is This The Most Bearish Oil CEO Statement Yet? Policy, Coincidence Or Conspiracy: What’s Really Holding Oil Prices Down?